We’re wrapping up the week with one last roundup of the day’s best paid iPhone and iPad apps that are on sale for free for a limited time. We’ve got 10 premium apps that are all free downloads for you to check out today, but there’s no telling when these sales will end so you’d better hurry. Accurate Minute to Minute Rainfall Forecast – When will the rain start and when is it going to stop? Know about the weather in advance and plan your day out properly! Street-level accuracy – No more imprecise forecasts based on a national or city level! Your exclusive weather forecast for every block in the neighborhood is here! China Rainfall Map – We use the National Meteorological Radar to produce our accurate forecast. Just take a glimpse to know exactly where and how heavy the rain will be! China Air Pollution Map – Is the pollution growing stronger or fading away? Where is it heading to? Just take a look at this map and get the answer to all of your questions! Weather Feedback – If you feel that our forecast is not completely accurate, please tap the feedback button to help us improve! BUZL (Busy List) is a quick priority list to simplify the way you manage your tasks, and focus on what’s important every day. View your priorities in one glance, reorder, and add reminders as needed. BUZL it and get it done. Shake your device for instructions and other functions. * No ads, logins, or subscriptions, premium support. Please email us! Please visit http://www.bluevinesolutions.com for demo, full instructions, questions, and FAQs. Feedback and feature requests are welcome. Create a perfect rainbow photo to celebrate pride! Use our high quality image filters to create a perfect Rainbow. Create amazing images with just a few taps! You can add this effect to any photo in your library, or take a picture directly in the app! Orsus is a fast paced and challenging arcade game, which will take you into the realm of high speeds, elementary particles and yet to be discovered fundamental interactions. Check your reaction time while trying to set the new world record. Got some free time? Or maybe you just want to challenge your friend. Orsus is perfectly suited for this and many other uses. Good luck! Some people may experience seizure when exposed to flashing lights or patterns that may appear in video games. These seizures may have a variety of symptoms, including lightheadedness, altered vision, eye or face twitching, jerking or shaking of arms or legs, disorientation, confusion, or momentary loss of awareness. Immediately stop playing and consult a doctor if you experience any of these symptoms. Turn you iPhone or iPad into a wireless remote control for your Mac. Enjoy full control of your Mac while giving presentations, watching movies, listening your favourite music and many more! Super fast, super easy, right from your mobile device! 1. Visit remotemouse.aexol.com and download & install Remote Mouse for Mac client on your computer. 4. Open Remote Mouse app on iPhone or iPad and press “Connect”, provide password and enjoy! Emoji Pals are lovable emojis with customizable accessories! Emoji Pals includes Skye, Charlie (Cat), Scout (Dog) and Duncan (Cake), Peach, Julian (Heart), Jade (Frog), Taquito (Taco) and Quinn (Hamster). Peach is just the sweetest thing, and now you can get this fuzzy fruit for free! Peach loves to accessorize, so pick out some goodies and let that southern charm shine! Quick to make a joke, but also a true romantic, Julian always wears his heart on his sleeve. Choose the right emotion, add some accessories and you’re sure to make your loved one’s smile! Looking for a way to brighten a rainy day? This frog knows just the thing to do – Dress jade up and text a friend or two! The world’s most interesting taco. An avid salsa dancer and mariachi guitarist, Taquito knows how to fiesta like there’s no manana! So add a little spice to your life with this loco taco! Quinn may be a hamster but this little guy sure knows how to have an adventure! So put on an eyepatch, grab your sword and let the fun begin! Don’t forget to bring pickles…he’s Quinn’s trusty pet parrot! Toca Blocks is a unique world-building app that lets you create worlds, play in them and share them with friends. Where will your imagination take you? Explore the blocks’ attributes by merging blocks together to transform them into something else. Learn their characteristics — some are bouncy, some are sticky, some turn into beds, diamonds, turds or other surprises! Combine blocks to change their color and pattern and give your design that magical feel. The more you learn about the blocks, the more inspiration for your creations you will find! Save and share all the great work you’ve put into your worlds. Use the camera function to snap a photo. Share unique Blocks codes with family and friends so they can import your world and explore it themselves! Or import your friends’ worlds and make them part of your own! – Combine blocks to create new materials and patterns! – Create as many worlds as you want — there’s no limit! – Snap photos of your work and share their unique Blocks codes so friends and family can import your world. – Get codes from others and import their worlds into your own! 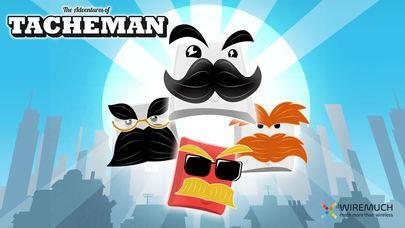 – Meet the heroes and discover their superpowers. – Remove blocks with the eraser head. – Use the pencil tool to help you create many blocks in one go! – Get exclusive content on the in-app Club Blocks channel: watch videos, download photos and import new worlds! Habit Builder allows you to easily create positive habits and then track your progress on those goals. Keeping track of the positive habits you want in your life has never been easier! There are bad habits and then there are good habits, with Habit Builder you can quickly and easily create the positive habits you want to add to your life. – Help Yourself Create The Habits In Your Life That You Need to Succeed! Color Tap is a fast-paced game against time and color. Within 60 seconds tap the correct color to climb the leaderboard, but tap the wrong color and you’ll lose points. Hitting a color streak will provide bonus points. If you can continue the streak the bonus points will increase. Can you get a flawless victory? 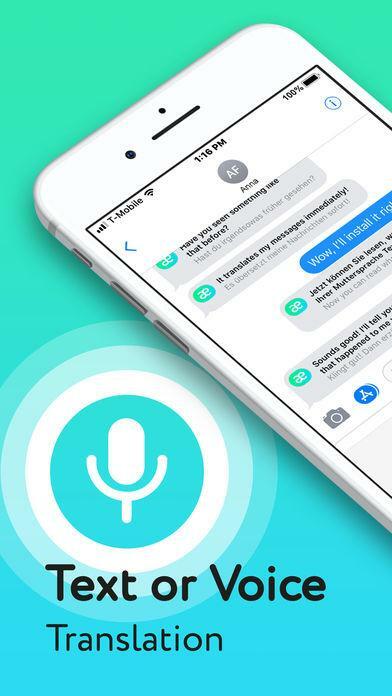 The apps integrate the system text-to-speech engine, speak aloud offline without internet connecting. A must have app to read text, documents and web pages of Safari. The Pro version supports enhanced voices.